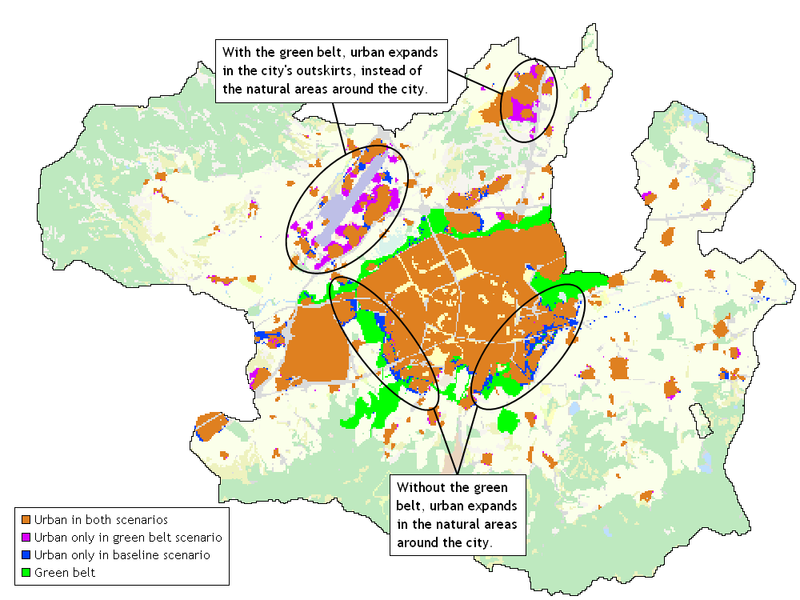 Spatial planning can guide urban expansion to preserve pristine landscapes, define green belts or create recreational zones to increase quality of life in urban environments. Spatial planning is introduced in Metronamica through zoning regulations. 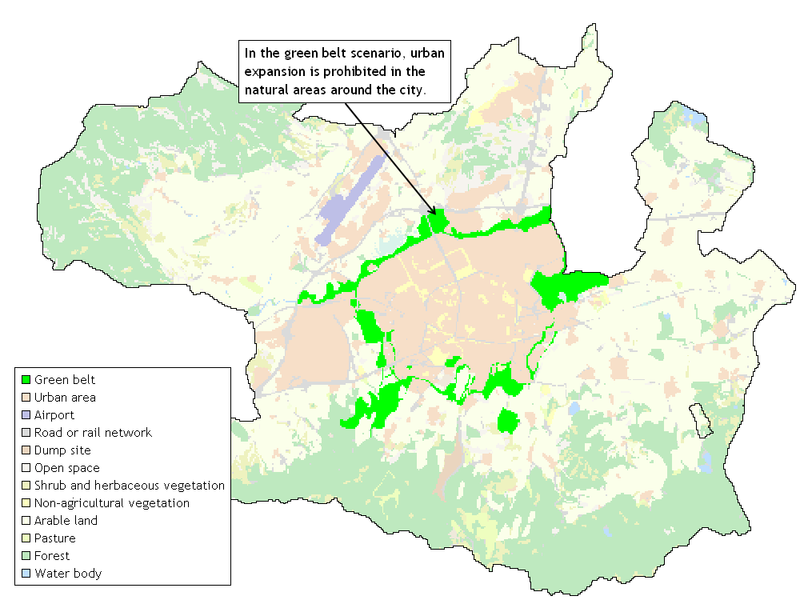 To create a scenario in which a city is outlined by a green belt where urban expansion is prohibited, you can import a map indicating the prohibited area and indicate the zoning status of this area for each land use. When you run a simulation with this new scenario, urban land uses will not expand to prohibited sites. You can use the Map Comparison Kit to see where urban located itself instead.